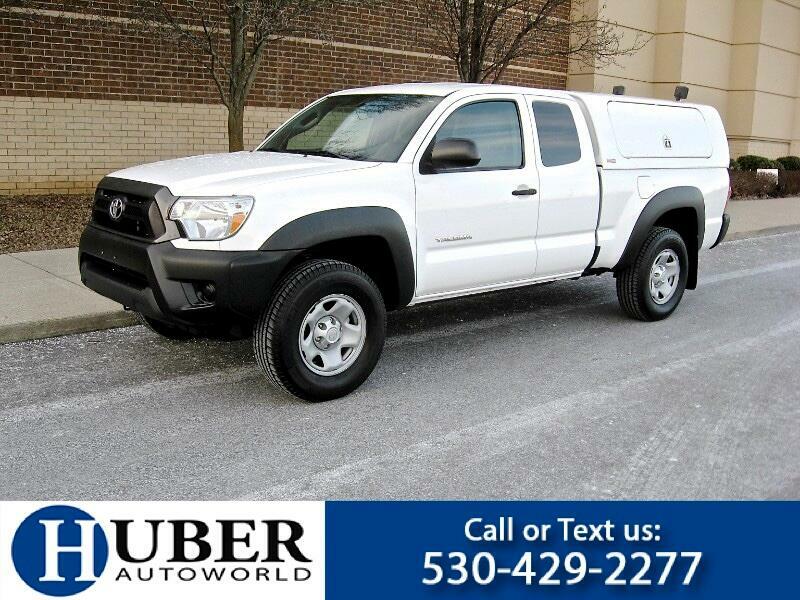 2014 Toyota Tacoma PreRunner Ext Cab -- White exterior with Gray interior, 2.7L I4, Automatic, 2WD, Power Windows, Mirrors, and locks, Keyless Entry, nice Michelin Radials! Full Fiberglass Topper, Has Storage Tank, Electric Pump, Hoses, Sprayer, for Commercial Application. Just serviced and inspected! AutoCheck Certified! Qualifies for 1 Year Buyback Protection! 7 year / 80,000 mile extended warranty available! COMPARE OUR VEHICLE QUALITY, MILES, AND PRICE! 5-10 Toyotas in stock! Specializing in quality 1 owner lease turn ins. Call or text 530-429-2277, check online @ huberautoworld.com or visit Huber Autoworld on 3088 Lexington Road, Nicholasville KY.